Standing near the coffin of one of her closest friends, Patty Hill made a promise that would forever change her life. Patty Hill says losing 140 pounds through weight loss surgery still took discipline, planning and hard work. 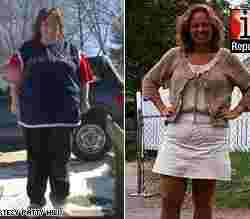 Read more about Surgery: 140 pounds drop! !